Choosing to pursue braces as treatment for a dental condition is a big decision. There are many factors to consider from cost to length of treatment to aesthetic. Dr.Barry Glaser and the team at Glaser Orthodontist are experts in braces in Cortlandt Manor NY, Yorktown Heights NY, or Westchester County NY, and we want to alleviate your fears! 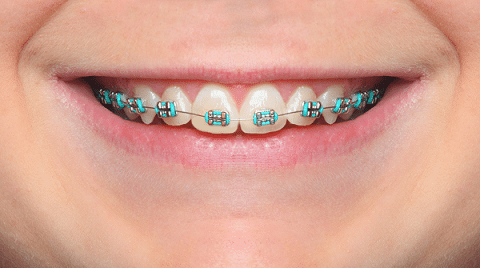 Here are our top 5 myths (some silly and some understandable) about braces, BUSTED! As an expert in braces in Westchester County NY, Dr. Glaser would never discourage his patients from doing something they love, especially something as important as playing music. Because braces are foreign to you, you will go through a period of adjustment, at first, but once that’s over, you will hardly notice that they are there, playing music as beautifully as before! Dr. Glaser and the team at Glaser Orthodontics want nothing more than for you to be comfortable with your choice to pursue braces in or around Cortlandt Manor NY. These myths prevent people from choosing to get braces that could improve the quality of his/her life! If you have any questions or concerns, we are always happy to bust the myths that may be keeping you from having your most beautiful smile! Dr. Barry Glaser and the team at Glaser Orthodontics are experts in braces. If you have any questions pertaining to braces, clear braces, Invisalign, or Invisalign Teen in Yorktown Heights, NY, Cortlandt Manor, NY, Cold Spring, NY, Croton-on-Hudson, NY, Westchester County, NY or the 10598 area, or would like to schedule a complimentary consultation with Dr. Barry Glaser, contact Glaser Orthodontics at: 914-739-6400.